it's my girls' world: Tips for Enjoying the Holiday Season! 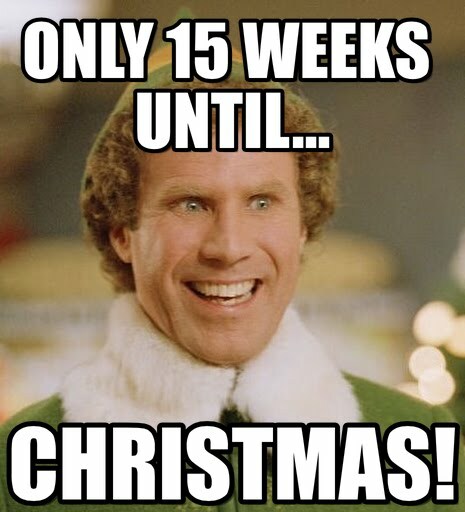 Yay for the holiday season that is creeping up on us. This weekend with all this snow we have, we intend to slowly start decorating and getting things ready for Christmas- we don't have Thanksgiving in Canada but for sure I'm going to prepare a little turkey feast with my family in solidarity with my American peeps. We love the Christmas Tree in the background though and it is often the start to our holiday season. I know that lots of people groan when they see holiday decorations up in November. (I groan when they are up in October, LOL) but by doing my tree and my decor early, I have more time to enjoy all the decor that we take our time to put up. I also try to do some of my holiday shopping for presents, holiday baking and meals early too either when they are too good to pass up or on sale. Love my lists-- and my holiday lists are my favourite. I make several and get great satisfaction, checking them off! It doesn't have to be an extravagant event! My girls' nights in off past have been tons of fun as have my holiday parties. 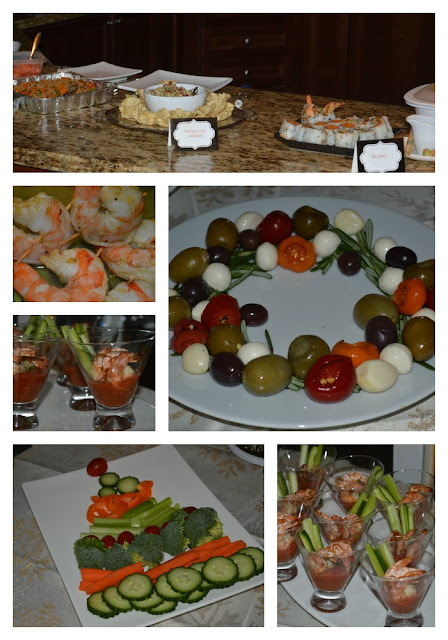 Finger food and a serve yourself party are my favourites. However, if I don't feel like it gets to be more work than fun, I will probably take a little break and reassess doing it in the future. At this party, everyone brought an app. Don't be a martyr. Husbands, kids, grandparents and store staff can do things as well. Not everything has to be hand done and home made. 5- Eat real food as well! Tons of sugar, alcohol, white flour and other carbs at this time of year have us feeling bloated and those carbs creeping up. Let's face it, the 80-20 rule is non existent during the holidays. I sneak as much real food as possible in there.... but some of our favourite healthy dishes so we don't feel it as much. Like this chicken tortilla soup or my white turkey chili. And I make a large batch as well so it lasts for a few meals. Exercise or even a walk is good for boosting energy levels even when we do overindulge. We all do it. Try to set a budget, or at least look for some sales! Sometimes if an event doesn't spark joy, we decide to opt out. We've declined parties in the past because of snow storms or the stress of driving in the snow or the distance or opted out of events because of the weather. It's okay to say no! Be generous. So many great causes and charities out there that need both physical or monetary help. All year round of course! Those twinkling tree lights in the morning, those family movies, the christmas carols on the radio, the eggnog with my person... enjoy it as it only comes once a year. Have a wonderful weekend! And yay for the Holidays! Great advice, and I love how you said you changed juggling to enjoying! I love that you are having a turkey feast to kick off the Christmas season. We are decorating here this weekend. I agree to keep it simple and certainly ask for help, amen!!! If I didn’t keep moving I would so be in trouble! Lol. Have a super sweet Friday! Great advice re entertaining. I needed to hear that it doesnt need to be this whole big production! I do think it's all about taking the time to enjoy those little moments! Great tips.